When your mattress is too firm or too soft to get comfortable, it can feel pretty frustrating and difficult to get a good night’s rest. The good news is there are a few ways to improve your bed or make it better without spending a ton. First things first — try to pinpoint the issue you are experiencing. Does the mattress just not allow you to sink in enough, or do you sink too far? Are you feeling pain in one specific area? Does your back feel supported? If you are starting with an older bed, make sure that it’s still supportive and in decent condition. Extending the lifespan of products like mattresses is definitely a green move as it reduces waste, but at a certain point, mattresses will eventually stop providing adequate support which can cause you a lot of aches and pains. If you notice deep impressions or feel hammocking when lying down (the bed isn’t keeping your body aligned), then it may not salvageable. Now, let’s get into the fixes. Whether your mattress is too firm or too soft, give these tips a try, and let us know in the comments below what works! Firm is often recommended for support, but a hard mattress can be downright uncomfortable. When a mattress is too firm, it can prevent your hips and shoulders from sinking in enough to keep your back aligned, especially for side sleepers. Luckily, it is much easier to make a mattress feel softer, so you have a few options to consider. 1. Break a new mattress in. If you have a brand new mattress that feels too stiff, it may need to be broken in a bit. For either an innerspring or memory foam mattress that feels too firm, you can try walking on the surface of the bed for awhile each day to help the materials soften. You can even get the kids involved! Just avoid jumping on the bed, as your bed’s frame and foundation might not be appreciative. It may also just be that your body needs time to adjust to a new sleeping surface. Many reviewers report that their beds feel overly firm initially, but after a few weeks they start getting better sleep and initial aches resolve themselves. For most beds, the type of support can make a mattress firmer or softer-feeling. A solid surface, like wood planks, a firm platform or the floor will make your bed feel considerably firmer, since there is less give. If your mattress is currently on a very firm surface, changing that could make it feel much better. For innersprings, use a boxspring with some give. For latex or memory foam mattresses, use a slatted base or a foundation with additional padding. Mattress pads and sheets that are overly tight can create the sensation of a firmer mattress. 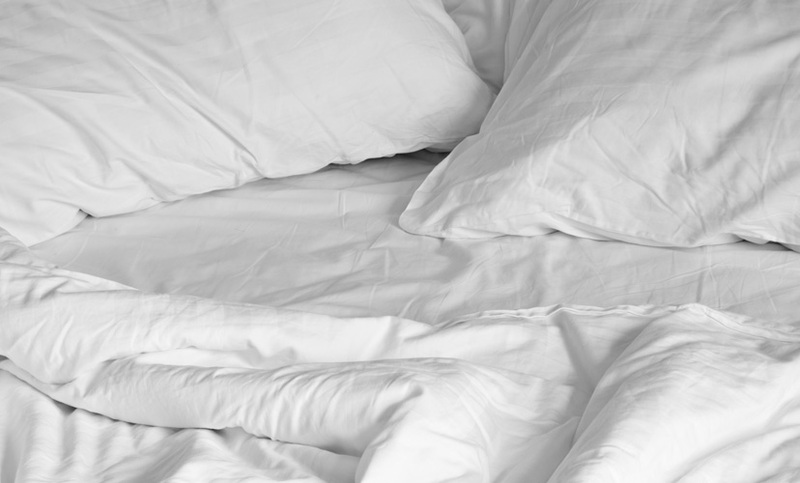 Make sure sheets are loose enough to allow your body to sink in rather than stretched tight. Mattress protectors are a smart move, since they protect your investment from accidents and spills. But, one that has little stretch or stiff materials can prevent the bed’s layers from adequately contouring to your body. Test the bed without if you are currently using one to see if that’s the issue, and opt for knitted, flexible protectors if you’re choosing a new one. 4. Use a soft mattress topper. Once you’ve ruled out other potential causes of a too firm mattress, adding a plush, soft mattress topper is the easiest way to improve your comfort. This is the ideal fix if you have a mattress that simply doesn’t have enough padding on top (but remember, a topper can’t fix deep impressions or an unsupportive bed). Memory Foam: Memory foam toppers tend to have the highest owner satisfaction ratings, as they are great for relieving pressure points and have good durability. Sleep Like The Dead reports the highest satisfaction with toppers between 1”-2” and with medium to low density. For those concerned about heat retention, temperature neutral foam could be something to look into as well. Down Alternative/Fiber Pads: Down alternative or poly fiber mattress pads tend to be pretty affordable, and they can provide a little softness. However, they will compress fairly quickly compared to other toppers. Feather Toppers: Feather beds/toppers have been around for awhile and remain popular. They can provide a good amount of softness, but do require maintenance and can be expensive. Egg Crate Foam: Regular foam toppers tend to be fairly inexpensive, and can provide fairly good comfort. These types of toppers may not last as long as memory foam however, so may be best for short-term solutions. 5. Warm up memory foam. If you have a memory foam mattress that’s too firm, it’s important to note that most of these types of foams are temperature sensitive (with the exception of plant-based memory foams and some others). What that means is that they feel firmer in cooler temperatures and softer in warmer temperatures. Cooler temperatures are generally recommended for better sleep, but you might find your mattress feels a bit softer if you raise your room temperature a little or use a heated pad. Many people like to feel as if they’re sleeping on a cloud, but an overly soft mattress can have drawbacks. For one, it can leave you feeling unsupported, and it can also allow heavier areas like hips and shoulders to sink too far, leading to back and neck pain. Here are a few things you can try to make your mattress feel firmer. 1. Use a firmer foundation. If your mattress is not supported well, it can feel saggy or less supportive than it’s ideal state. For innerspring beds, make sure the boxspring is in good condition, or try slipping plywood boards between the mattress and boxsprings. For foam mattresses, use rigid, closely spaced slats (less than 1” apart) or a solid platform foundation to maximize firmness. 2. Try a firm mattress topper. Latex Foam: Perhaps the best type of topper to improve support and firmness is higher ILD dunlop latex foam. ILD refers to the amount of force required to compress the foam, so look for higher numbers if you want a firmer feel. If you prefer to keep things natural, some companies also make all organic latex toppers, another plus. Compact Wool: Tightly packed wool mattress toppers can provide a degree of firmness, compared to materials like fiber fill and foam. Tight Mattress Pad: As described before, mattress pads and protectors that have a snug fit can make the surface of the bed feel firmer due to surface tension. 3. Check if layers are replaceable. Some beds allow you to swap out components without too much work, which can be a big money saver compared to buying a new bed. For example, if you can swap out the topper or replace internal foam layers (as with some latex brands like Astrabeds and Savvy Rest), you can make the mattress feel significantly firmer. If you are handy and want to DIY, you could also open up the ticking and replace the padding layers in a traditional spring mattress with firmer foams and sew it back up. Foam beds with glued layers likely cannot be taken apart at all, though. Note, too, that this will almost certainly void any warranties. All types of mattresses benefit from regular rotation, as it helps encourage even wear. If your normal spot is feeling too firm, try rotating your mattress 180 degrees. Generally, you should rotate a bed every few months for the first years, then annually. 5. See if your warranty applies. Most warranties exclude general softening, but deep impressions are typically a covered defect. If you notice that your mattress has deep valleys when you aren’t laying on it, consult your policy to see what is covered. Some manufacturers will cover impressions of 1” or less, others may require deeper indentations. This is typically measured by putting something flat across the surface, and measuring the gap. Check with the retailer or manufacturer as specified in your warranty paperwork. If these tricks for making your bed softer or firmer don’t improve comfort, it may be time to consider a new mattress. Most innerspring beds will last around five to eight years, while memory foam and latex last between six and ten years. The actual lifespan will depend on the quality of materials inside, usage and care. Share: Did one of these solutions work for you, or do you have additional tips for making a mattress softer or firmer? This post literally just saved me from buying a new mattress. I own a gel memory foam bed, & bought a mattress protector to protect it. However, I started to wake up with crazy back pains. After reading this post about the mattress protector, I took mine out and holy moly was that a lifesaver. The protector was preventing me from sinking into the mattress and contouring my body. I was even researching this past week on buying a new mattress! If it weren’t for this post I would’ve probably bought one. Now I just need to get a better protector! I always have the issue of my mattresses being to soft, or quickly becoming that. Rotating your mattress seems like a simple way to help with how firm it is. I need to do that later today, see if I can’t get it to work.